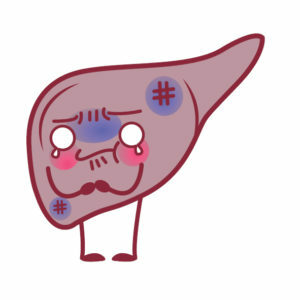 Hepatic steatosis is an accumulation of fat in the liver. 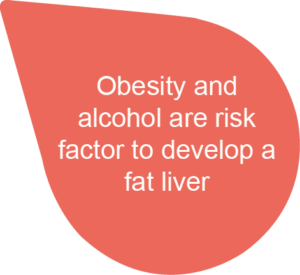 It is an augmentation of fat in the hepatic cells and can cause complications in cases of obesity, alcohol intoxication (due to an excessive consumption of alcohol) or hepatic disorders (like diabetes Type 2). Steatosis can be isolated and we call it « pure steatosis » or it can be associated with hepatitis: Non-Alcohol Steatosis Hepatitis( or NASH). Usually, people suffering from those do not show any symptoms. In some cases, steatosis can evolve into fibrosis that may transform into cirrhosis due to obesity and overweight in our occidental societies.